Social CRM is designed with the capabilities of both customer relationship management and social media management. The tool helps in better customer engagement and interaction. In simple words, the CRM software is integrated with social media features, so businesses can engage better with their audience and promote their brand. However, just like any other software tool, features vary from one social CRM to another, with some providing simple social profile access and others being more sophisticated and feature rich, providing analytics and social monitoring capabilities. The CRM integrates social media and collaborative tools into a comprehensive Software-as-a-Service solution. It is designed more as a social relationship management platform with automated social integration. All contacts can be easily imported into Nimble. In addition to contact and pipeline management, Nimble integrates social listening that helps automatic update of customer profiles. As a result, brands are able to keep track of what is being said about them by whom from one uniform inbox, helping create opportunities for informed outreach. The basic plan comes for free with limited features. When you are looking for a tool to grow your social presence, Sprout Social is an affordable option, making managing your social interactions easier. Start your free trial to see how the app can equip your sales and marketing teams, helping build and manage customer relationships. It’s easier for help teams to resolve customer support issues with contextual information from CRM tools to nurture leads and deliver outstanding brand experience. The application’s shared contact gives team access to contact information, interaction and engagement history, and other internal notes. With a good social CRM, you can engage better across social media, email, and other platforms and close in more leads. ZohoCRM is one such platform that integrates CRM and social media and brings all of your conversations across channels at one place, giving you real-time insight your business interactions. The secure, scalable, and feature-rich application gives you clear analytics and reports to peep into your customer’s life cycle, so you know what they are looking for and want from you. Start your free trial today to adapt your CRM to cater to your specific business needs. With a powerful CRM application that comes integrated with social media, you can take your business to another level. Insightly is one such social CRM tool that helps you manage contacts, leads, vendors, and partners. The application offers built-in integration with social networks, such as Twitter and LinkedIn, enabling merchants to display social data directly from the dashboard. It’s easier to import LinkedIn contacts with Insightly or add social media profiles to existing contact list. The free social media CRM software is easy to integrate with Google Apps, Gmail, and Google Drive. Other plans start at $20 per user per month. HootSuite is equipped with features that enable you to seamlessly manage social media customer interactions and track campaigns. The social CRM tool gives you a deeper insight into who follows you, what they think about you, and what their activity level is, so you can quickly engage with them to build loyalty and strengthen relationships. The social relationship platform allows users to connect social media best practices with social CRM capabilities, so as to facilitate social selling and customer engagement. Available as SaaS, Mothernode CRM comes complete with enterprise resource planning features that facilitates sales and customer relationship management. The feature-rich social CRM integrates with key analytics tools and performance indicators that facilitate generation of accurate reports. Customizable report templates can be used to create reports catering to your business needs. Integration with social networks allows users to monitor online footprint, promote brand, interact with customers and prospects, and analyze social impact from a single platform. Propertybase also enables you to spread the word about your brand in social platforms, monitor conversations about your business in real time, and be an active participant in building brand value and loyalty with this free social media CRM dashboard. Dramatically improve social interactions and engagement with a robust customer experience management solution that adds value to your business and costs peanuts. The free trial versions of the aforementioned tools give you plenty of options to boost business efficiency and connect with customers. These social CRM tools provide you with a perfect platform to access customer interactions and spread the word. 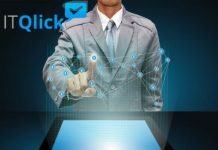 If you are still confused about selecting one free social media CRM solution that caters to your business needs, allow the ITQlick team to come in. With decades of IT experience, we can offer software recommendations that can change the face of your business and help you grow.